Paws up if you’re a fan of Paddington? Me! I’m the ultimate Paddington Fan Girl. As a child, I read and re-read my way through all of the Paddington books in our local library. Paddington was, and still is, my FAVOURITE book bear. Over the years he has featured largely in my life – on birthday cards, cakes, mugs, key rings, small soft bears and books, of course! 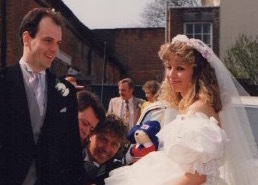 Paddington even came to my wedding (thanks to my parents who thought it would be more fitting to throw a Paddington at me than confetti). So where did Paddington come from? Well, Darkest Peru, obviously. He was then discovered by the author Michael Bond. The story goes that one Christmas Eve, Mr Bond, a cameraman, spotted a small bear left on a shelf in a London shop. 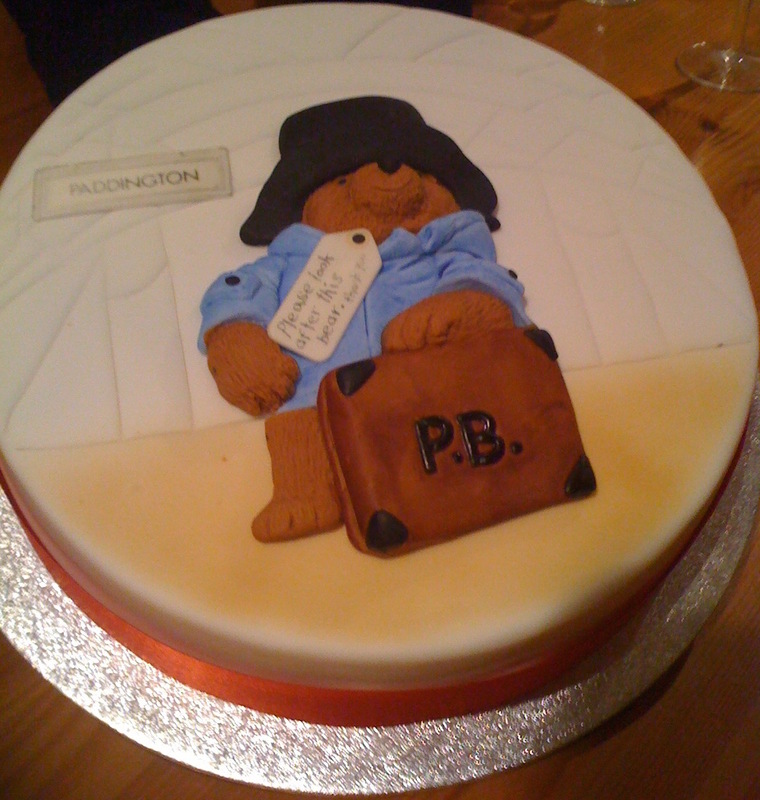 Feeling sorry for it, he bought the bear for his wife – naming it Paddington after the station near to where they lived. 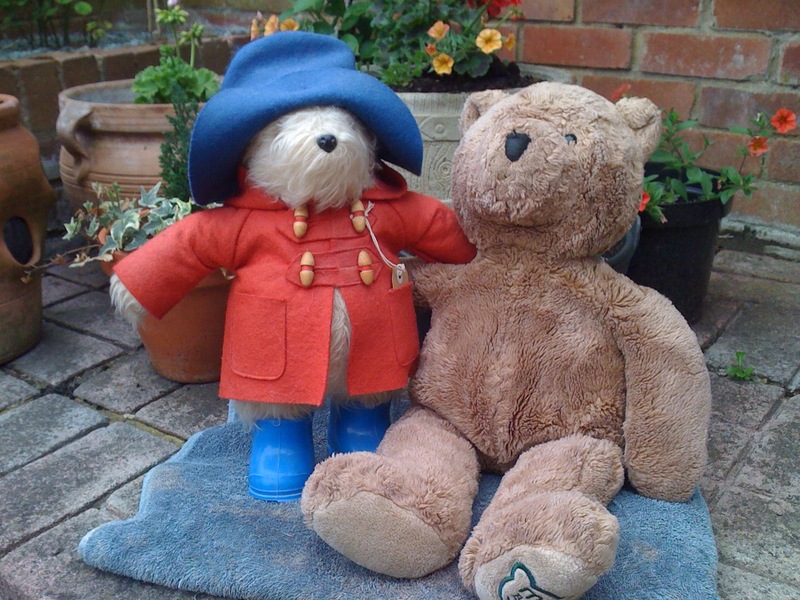 Over the Christmas period, Paddington helped Michael to write about some of his adventures. Apparently, they had great fun before they realised the stories could fill a book. That was back in 1956. 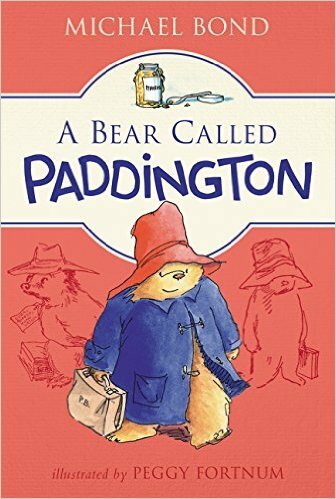 The first Paddington Bear book, ‘A Bear Called Paddington’, illustrated by Peggy Fortnum, was published on 13th October 1958, by William Collins & Sons (now Harper Collins). It’s still in print today. How awesome is that! And there’s more. On 13th January, Michael Bond will be celebrating a very special birthday. He’s going to be 90. To mark the occasion, the Paddington & Co estate, run by Bond’s daughter, Karen Jankel, is creating a short video with a compilation of messages from a selection of his fans. If you’d like to send Paddington’s creator a birthday message then there’s still time if you’re quick. Just go to the Paddington Bear website for further details. Alternatively, you can join me here in wishing Michael Bond a very happy birthday. HAPPY BIRTHDAY Michael Bond. THANK YOU for many happy hours spent reading about my favourite book bear. Tags: birthday, Karen Jankel, Michael Bond, Paddington Bear. Bookmark the permalink. As a young child with undiagnosed Aspergers I felt a large sense of identification with the little out of place bear brought to life by the incomparable Michael Bond. He helped develop my love of reading, and absurd humour, and my biggest cinematic thrill of the last few years was seeing the fantastic job they did on the Paddington film. He is a legend, an icon and how he hasn’t been knighted is a total mystery. His books have brought pleasure to millions and I would just say: Happy Birthday Michael Bond and thanks for everything. What a lovely memory. The power of a good book and a great character should never be underestimated. I enjoyed the film, too. I wasn’t sure I would but I think the producer did a fantastic job. “It’s nice having a bear about the house.” Especially when that bear is PADDINGTON! Hi Laura, Happy New Year back. Have you got lots of writing projects on the go this year? Michael Bond is truly amazing. He’s written a ton of books but the ones about Paddington are my all time favourites. Fantastic! I hope you enjoyed it. And thanks for posting such a lovely comment.